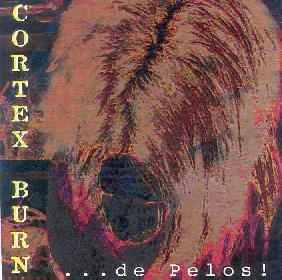 Cortex Burn - "...de Pelos!" Cortex Burn is a four man project of totally improvised music followed by careful deconstruction and mixing. It contains vocals samples, deep oscillations, multiple sound effects and sometimes hints at the chaos of early electronica but is more controlled. The music is quite dark in nature, most of the time. The CD has 5 tracks, with "De Pelos" opening the CD and going for nearly 20 minutes. "Melancholy" is next and a more laid back space piece. A real floater. "Vast Immense" starts like a ringing in your head but slowly builds up. I really like the sort of bubbling effect at the end. "Shiver" begins with some looping of vocals and oscillations. The phasing and shifting between the speakers makes this quite far out. This track would be great in a Sci Fi movie. "Power Of Thought" closes this interesting sound collage.